Everybody is gone: my boys on a cruise with their father, some friends in the States, in Greece, France, Italy and so on and on. I am traveling in my mind. 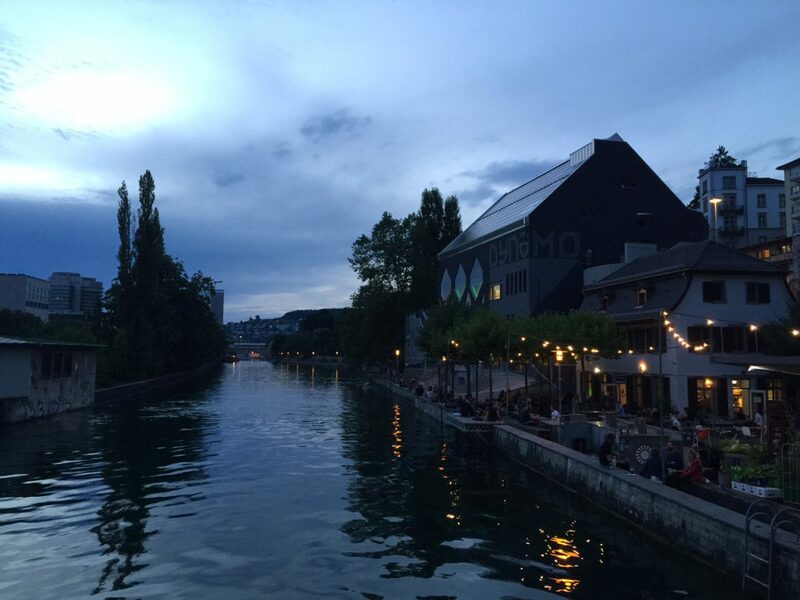 I was again a student, hanging around at the river in Zurich discussing with my friends about Heidegger or Derrida, smoking my own made cigarettes and drinking red wine. Or I met there a man I was very fond of and him as well of me, but he didn’t want to leave his girlfriend. She didn’t mind him seeing me from time to time. I couldn’t agree with this setting. Or I remember how I was sunbathing there at the riverside on Sunday afternoons, reading heavy books and searching hard for an intelligently looking young man to talk to. I spent many summers there, trying out different relationships. But my summer feeling kept always to be the same, and it came back when I visited this place a few days ago.